Decades of research in molecular oncology have brought about promising new therapies which are designed to target specific molecules which promote tumor growth and survival. The epidermal growth factor receptor (EGFR) is one of the first identified important targets of these novel antitumor agents. Approximately half of cases of triple-negative breast cancer (TNBC) and inflammatory breast cancer (IBC) overexpress EGFR. 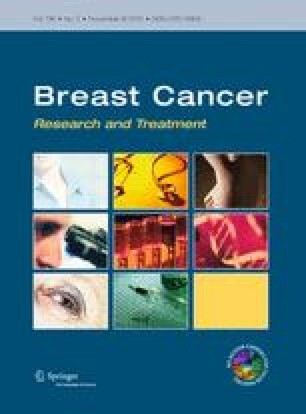 Thus, EGFR inhibitors for treatment of breast cancer have been evaluated in several studies. However, results so far have been disappointing. One of the reasons for these unexpected results is the lack of biomarkers for predicting which patients are most likely to respond to EGFR inhibitors. Recent studies have shown that EGFR and its downstream pathway regulate epithelial-mesenchymal transition, migration, and tumor invasion and that high EGFR expression is an independent predictor of poor prognosis in IBC. Further, recent studies have shown that targeting EGFR enhances the chemosensitivity of TNBC cells by rewiring apoptotic signaling networks in TNBC. These studies indicate that EGFR-targeted therapy might have a promising role in TNBC and IBC. Further studies of the role of EGFR in TNBC and IBC are needed to better understand the best way to use EGFR-targeted therapy—e.g., as a chemosensitizer or to prevent metastases—to treat these aggressive diseases. This research was supported by NIH Grant R01 CA123318 (NT Ueno), MD Anderson’s Cancer Center Support Grant, CA016672, the Morgan Welch Inflammatory Breast Cancer Research Program and Clinic, a State of Texas Rare and Aggressive Breast Cancer Research Program grant (NT Ueno), and Susan G. Komen Postdoctoral Fellowship KG091192 (D Zhang).